The Schusterman Center for Israel Studies is dedicated to promoting exemplary teaching and scholarship in Israeli history, politics, culture, and society at Brandeis University and beyond. To that end, the Schusterman Center supports and mentors graduate students at Brandeis University who focus on Israel Studies. These full and partial fellowships are granted on a competitive basis to doctoral candidates who have been accepted into the Graduate School of Arts and Sciences. 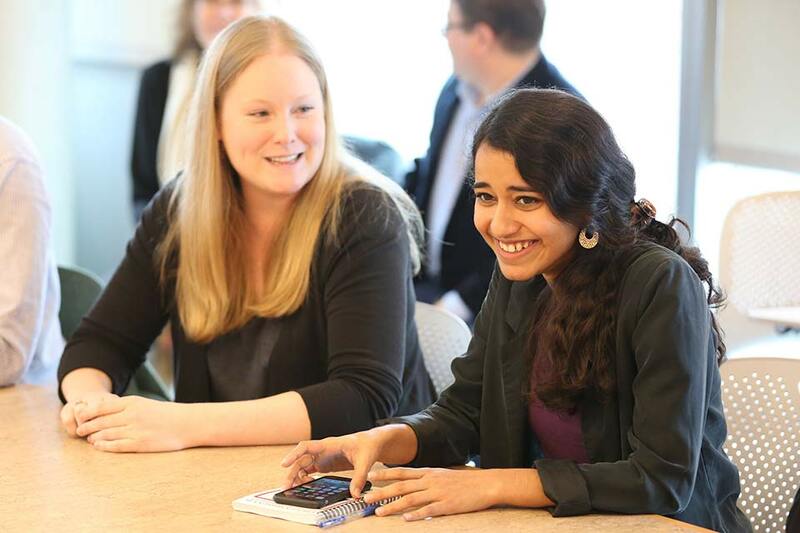 Find out more about our current and past Schusterman scholars. The Schusterman Center funds full and partial fellowships for doctoral students focusing on Israel Studies in fields such as history, sociology, politics, Middle East studies, Israeli art, literature and culture. These fellowships—granted through individual departments—will be renewable, after review, for up to five years. The Schusterman Scholar Fellowship includes a full tuition scholarship, health care benefits and a stipend of up to $26,000 per year. Schusterman Scholars’ primary affiliations are to their home departments. Therefore, each department will specify teaching and other doctoral requirements for Schusterman Scholars. All Schusterman Scholars will need to demonstrate competence in modern Hebrew and/or Arabic. Furthermore, Scholars’ dissertations must focus on a topic relevant to Israel Studies. Service to the Schusterman Center for Israel Studies may be required. Recipients of Schusterman Israel Studies Fellowships, known as Schusterman Scholars, will be expected to participate in a bimonthly seminar for Schusterman Scholars. This seminar brings together Israel Studies doctoral candidates, along with relevant faculty and other advanced students, to explore issues in the field of Israel Studies. This seminar will allow Israel Studies doctoral candidates to form an intellectual community for their research and academic development. Schusterman Scholars are expected to participate in the seminar every year of their Fellowship. Schusterman Scholars will be given the opportunity to participate in the Summer Institute for Israel Studies, in which faculty members from across North America and the world participate in seminars at Brandeis and in Israel that will help them design new courses in Israel Studies for their home universities. Further details can be found on the Institute's webpage. Doctoral candidates accepted by the Graduate School of Arts and Sciences who are focusing on topics in Israel Studies are eligible to apply for a Schusterman Israel Studies Fellowship. Prospective doctoral students should indicate in their applications for admission and in their personal statements that they would like to be considered for a Schusterman Israel Studies Doctoral Fellowship. Individual departments who plan to accept these candidates for admission will discuss the candidates with the Schusterman Center for Israel Studies. An awards committee will then consider the application and award the Fellowships. Doctoral candidates who are not awarded a Schusterman Fellowship may apply the following year for reconsideration. The Schusterman Center offers grants for pre-dissertation and dissertation research in Israel Studies. Grants of $500-$1,000 will be awarded to cover travel expenses (such as airfare, meals, and lodging) research expenses (such as visits to archives and museums), and costs of data collection and processing. Preference is given to Schusterman Center doctoral students; in particular those in their third year of study who have successfully completed their coursework. description of research plans, including data to be used, methodology, description of sources, etc. importance of the proposed dissertation to the field of Israel Studies. Proposals should be emailed to scis@brandeis.edu, with the subject heading "Graduate Research Grant." The submission deadline for summer research grants is March 1. Award recipients will be informed a few weeks later. For more information, contact Rise Singer. Please contact Associate Director for Administration Rise Singer at rsinger@brandeis.edu or 781-736-2152 to receive additional information on the Schusterman Israel Studies Fellowship. Note that most Brandeis doctoral programs have an application deadline of January 15, but it is best to check with the relevant department for exact details.